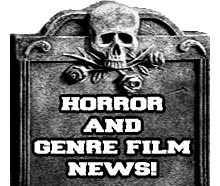 If you tend to follow the reviews I do then you know I am not a big fan of haunting or supernatural films that are based on ghosts or spirits. The film I have for review today is one of those so I initially went into it with little to no expectations of it being anything good or worth really watching. What I got was actually a film that does do the whole supernatural thing, but does it in a way that I like. Unlike crap like "Paranormal Activity" there is little to no jump scares and it relies more on the actual characters and actors to support the film. Also there is no CGI to try and make a ghost or spirit do things, everything is done with practical effects. Anyways on with the autopsy! 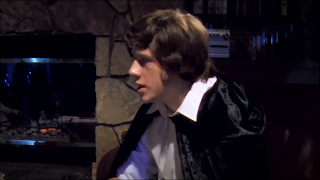 "I Am Zozo" follows a group of friends who are going to have a fun weekend at a lake house for Halloween. 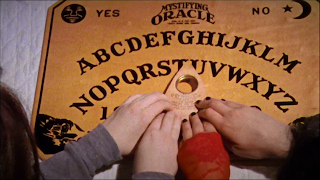 They decide to have a little fun and play around with a Ouija board and at first things seem to be going well as they contact some very innocent spirits. After awhile they get in contact with a spirit name Zozo, but Zozo is not so friendly and things start to go bad quickly. 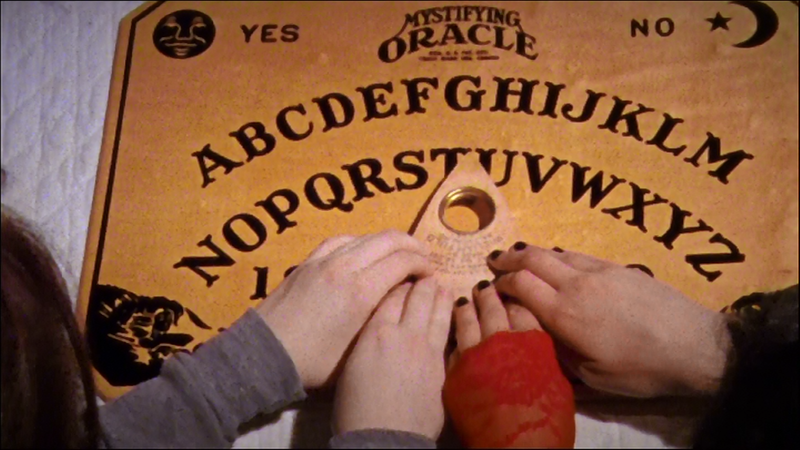 Is one of them just screwing around and having a little fun or have things turned on them and now they are in a struggle to save their lives and souls from the ancient spirit known as Zozo?! The plot of the film is very straight to the point and basic which I like to see for a film of this nature. I also like that there are no cheap jump scares around every corner because honestly when you have nothing but jump scares it takes away from the atmosphere and tension the film has built up. One thing that really made me get into this film quickly was the look of it, it actually has the look of an older film and also looks like it was done on actual film. Also there is no cellphones, tv's or technology in the film so it really helps to make the film become something timeless and will not seem dated in ten years. At the same time it is seriously hard to pin point when they really wanted to set the film, the closest thing you could use is the cars, but even that doesn't give off that much. I honestly thing this is one of the best films in the supernatural genre to be released this year. Like I stated previously this film relies on a good cast and good characters to support it. Each one of them are great in their own way and really none of them are unlikable at all. They also are not all just alike and the same, they do have their own personalities that make them different. One thing I am grateful for is that there is no "jerk" type of character because that could of really thrown off the film and made it bad. You really get a sense that these people are friends and do care about one another. If I must pick a favorite character I would have to go with Nick who is played by Caleb Courtney. He is more of a skeptic and I myself am a skeptic so I can connect with him more. Overall this is a very good film that is effective without having to cheap out with tons of jump scares and crappy CGI effects. If you don't like slow burner films then I say just skip this film because it is one and you will probably hate it for that. The only flaw it has is how it ends because I guess I was expecting more, but nonetheless I don't think that it takes the film down any. I give "I am Zozo" 4 out of 5 scalpels!